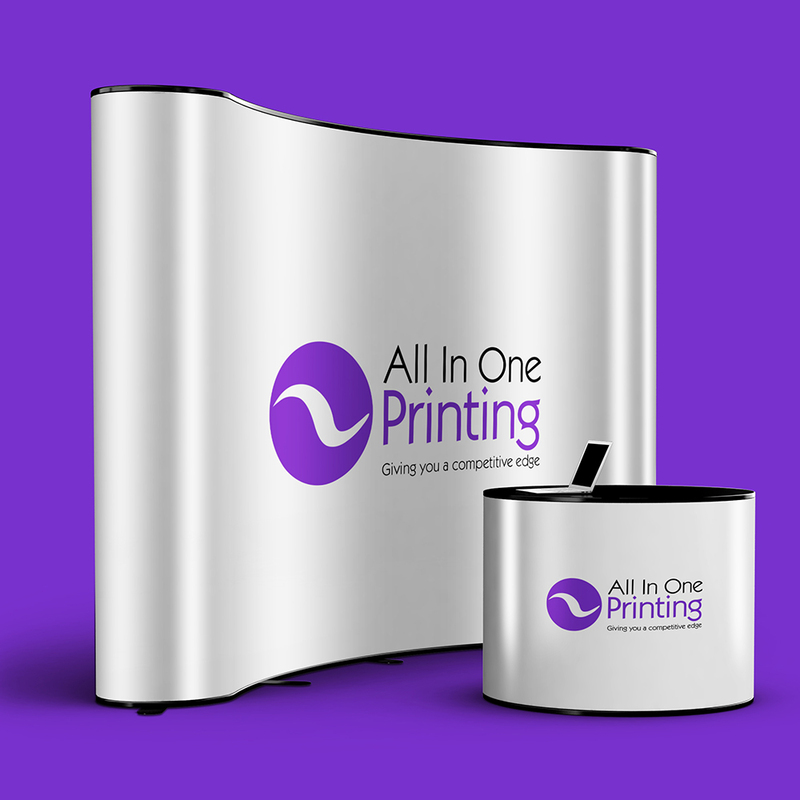 Our Exhibition Pop-Up Stands consist of an easy to erect, folding frame made from anodised aluminium. Panels arrives ready to be attached to frame by magnetic strips all packaged in a heavy duty carry case with 2 halogen lamps included. The case can also double up as a podium using the wood table top supplied. Please note that podium graphics have to be ordered separately. Delivery will be between 4-5 working days from approval of the proof to UK destinations only. Our 1×3 Exhibition Pop-Up stands consist of an easy to erect, folding frame made from anodised aluminium. Panels arrives ready to be attached to frame by magnetic strips all packaged in a heavy duty carry case with 2 halogen lamps included. The case can also double up as a podium using the wood table top supplied. Please note that podium graphics have to be ordered separately. Our 2×3 Exhibition Pop-Up stands consist of an easy to erect, folding frame made from anodised aluminium. Panels arrives ready to be attached to frame by magnetic strips all packaged in a heavy duty carry case with 2 halogen lamps included. The case can also double up as a podium using the wood table top supplied. Please note that podium graphics have to be ordered separately. Our 3×3 Exhibition Pop-Up stands consist of an easy to erect, folding frame made from anodised aluminium. Panels arrives ready to be attached to frame by magnetic strips all packaged in a heavy duty carry case with 2 halogen lamps included. The case can also double up as a podium using the wood table top supplied. Please note that podium graphics have to be ordered separately. Our 4×3 Exhibition Pop-Up stands consist of an easy to erect, folding frame made from anodised aluminium. Panels arrives ready to be attached to frame by magnetic strips all packaged in a heavy duty carry case with 2 halogen lamps included. The case can also double up as a podium using the wood table top supplied. Please note that podium graphics have to be ordered separately. Artwork Templates will be available on request.